You are here: Home / Custom Requests, Special, Collectibles, Rare Gems / The exceptionally rare 4.96 carats Emerald Cut Colombian Emerald with 5 pointers Round Brilliant Diamonds that compose the Royal Ring. The exceptionally rare 4.96 carats Emerald Cut Colombian Emerald with 5 pointers Round Brilliant Diamonds that compose the Royal Ring. Kings and Emperors have always desired to own the nature’s inspiration, for those this is one such kind of mother earth’s inspiration set in human’s desire. As we see Nature changing in four seasons differently, this Natural unenhanced Emerald is one of those gems which were formed when “Nature was at its fertile best”. The Fine art of instinctive quicksilver communication in harmony of Venusian Love!. Collectively captured the beauty and capsule into this Royal ring to yield the ultimate results of Planet mercury and make the owner feel “THE SUPREME”. The exceptionally rare 4.96 carats Emerald Cut Colombian Emerald with 5 pointers Brilliant round cut diamonds that compose the Royal Ring. 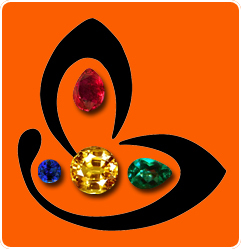 In Vedic Astrology Emerald is the Gemstone of Mercury and Diamond is the Gemstone of Venus. 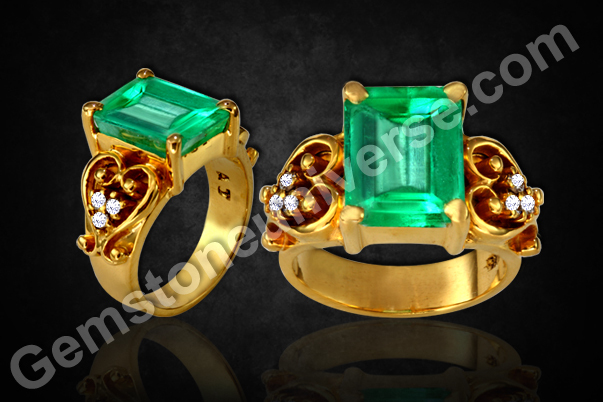 These two energies combine synergistic in vintage style Emerald Diamond ring. Emerald’s of this size, clarity, rarity choose their own patrons. Goes to an existing patron who started with Gem therapy in 2003, this is a collectible ring from the Gemstoneuniverse vault. A collectible that we shall cherish for a long time. A few examples below speak about the rarity, mystique and value of Emeralds. It is the color and rarity that are major factors that influence Emerald Value. Rare Emerald and Diamond Tiara. 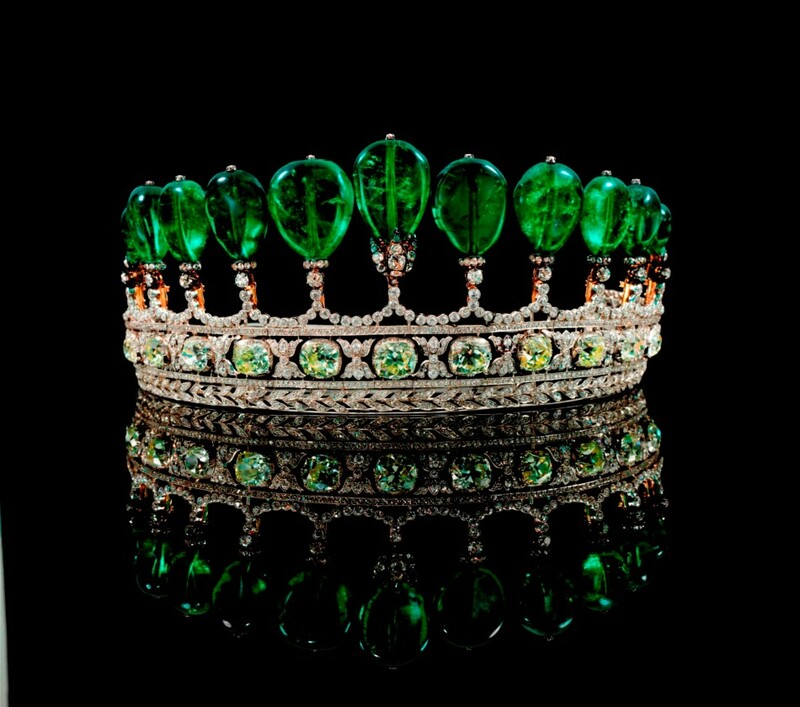 Regarded as one of the most important Magnificent & Noble Jewels auction by Sotheby’s in 30 years, the house has announced the sale of a rare emerald and diamond tiara on May 17, 2011. Slated in Geneva, the tiara is composed of 11 Colombian emeralds and is estimated to bring around $5-10 million. It is believed that the tiara was commissioned sometime during 1900, possibly from the renowned jewellers Chaumet, by Guido Count von Henckel, First Prince von Donnersmarck, for his second wife Princess Katharina. The jewellery collection of the royal family was known to be on a par with, or even to have exceeded, those of many of the crowned heads of Europe. 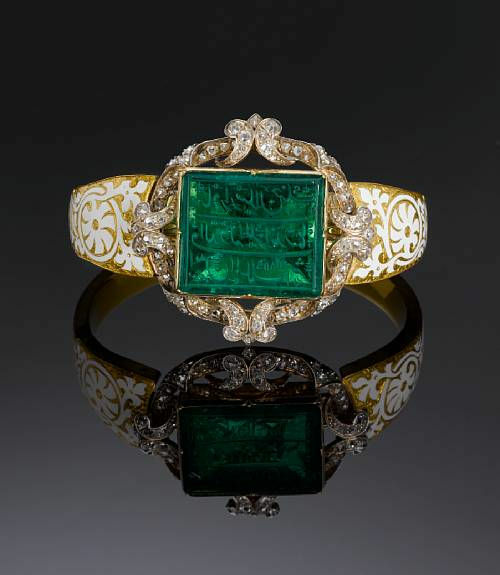 Another important item in the sale was an inscribed Mughal emerald personal seal set in a diamond encrusted gold bangle and bearing the name of Major Alexander Hannay, an East India Company officer. It sold for £90,000, well above its pre-sale estimate of £40,000 to £60,000. The rectangular 18th century emerald is table-cut and was mounted in an enamelled gold bangle in the early 19th century. The three-line Persian inscription on the face of the emerald is in nasta’liq script and reads: “Amin al-Mulk Ashraf al-Dawla Alexander Hannay Bahadur Arsalan Jang AH 1185/ AD 1774-5″. Major Alexander Hannay was in the service of the East India Company under William Hastings at the time when the company had transferred its trading role into a more military administrative one. In 1778, Hannay left Hastings’ service and entered that of the Nawab of Oudh. He managed the district of Gorakhpur, when during this period there were a number of disturbances as a result of his suspected oppression and misconduct.